For over 25 years, Roger has advised start-up and growing businesses in matters such as business formation, financing (private placements and venture capital), strategic partnerships, stockholder agreements, software and technology licensing, and sales and distribution agreements. He is passionate about changing the way law is practiced in the USA and believes that legal documents should be affordable, accessible and comprehensible. 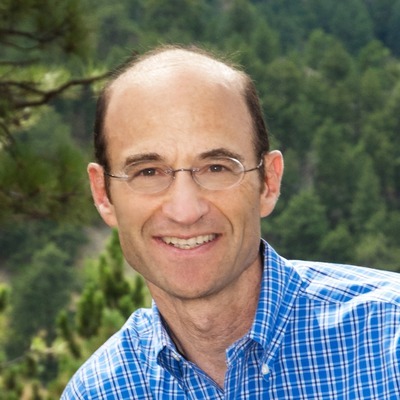 Based in Colorado, and having spent most of his career in Massachusetts, he works with clients in both states. Roger Glovsky provides legal counsel to traditional and high-tech companies in the areas of business formation and operation, financing (private placement and venture capital), employment and employment compensation (including equity incentive compensation), sales and distribution agreements, software and technology licensing, Internet-related issues, and mergers and acquisitions. Mr. Glovsky is an entrepreneurial attorney who has worked as outside counsel at two major Boston law firms and as in-house counsel for two venture-backed software companies. Founded law practice representing start-up and growing businesses for general corporate matters, financing, acquisitions, stockholder agreements, software and technology licensing, OEM agreements, distribution and sales contracts. Clients are in technology-related business including e-commerce, software development, computer components, circuit design, electronic components, networking, telecommunications, wireless communications, consumer devices, systems integration, and consulting. Non-technology clients are involved in professional services, consulting, advertsing, restaurants, and investments. Member of executive management team for venture backed company developing network management software marketed to Tier 1 Internet Service Providers (ISPs). Drafted, reviewed and negotiated all sales and services agreements; developed general forms for software licenses, evaluation, beta, development, consulting and NDA agreements; implemented system for contract filing, monitoring and tracking; managed IP firms to prosecute software patent application, and register trademarks. Established infrastructure for Operations department, mentored and trained managers and staff, hired operations personnel, developed company policies and supervised drafts of employee manual, automation of payroll, conversion of 401K plan, and outsourcing of COBRA. Worked collaboratively with sales, marketing, professional services and business development team to facilitate and improve business processes and contract templates. Member of executive management team for B2B provider of online community tools and services. Drafted and negotiated distribution and service agreements with major media companies, Fortune 1000 companies and top tier web sites; developed and implemented contract templates including, software license agreements, evaluation agreements, NDAs, and consulting contracts; drafted online terms and conditions, advised company on legal issues including financing transactions, privacy rights, contractual disputes, and intellectual property. Identified and developed strategic relationships with B2B partners to distribute community enabling tools and services; worked with Microsoft to develop case study for PR. Managed Delphi.com community (Top 100) website with 80,000 online forums and 2+ million users; identified and closed business opportunities for advertising and other Internet revenue transactions with top tier online advertisers. Co-owner of profitable networking software company which produced remote access, routing and wide area networking (WAN) products for OEMs, VARs, resellers and large enterprises. Managed all business operations and financial needs of start-up, performed market research, created OEM/Reseller pricing models, prepared financial projections, evaluated and tested new products, wrote technical documentation, handled customer support, and managed Internet and Web-based commerce. Instrumental in transitioning company from customized development projects to end-user product sales and distribution. Negotiated and closed OEM licenses with network solutions providers and hardware vendors. Marketed and sold enterprise solutions directly to Fortune/Global 500 corporations, networking vendors, major universities, and government research facilities. Founder of high-tech law firm concentrating in corporate and business practice. Represented business clients for software and technology licensing, business formation, corporate matters, financing, acquisitions, stockholder agreements, and business contracts. High-tech clients involved in computer-related fields were founded by M.I.T. graduates and professors as well as former employees from high-profile technology companies, Internet service providers, circuit board manufacturers, network and application software developers, systems integrators, IT services, environmental and energy services companies, as well as retail stores, service providers and other non-technology businesses. Corporate lawyer in general practice firm representing traditional and technology businesses, non-profits, banks and public companies. Negotiated and documented mergers & acquisitions, recapitalizations and financings. Drafted licenses and business contracts; prepared securities law filings and corporate documentation. Widett, Slater & Goldman, P.C. Corporate lawyer in general practice firm representing businesses, non-profits, banks and public companies. Negotiated, managed and drafted equity and debt financings, VC financings, LBOs, bank loans, and seed capital investments. Prepared Annual Reports, Proxies, 10-Ks, 10-Qs and SEC filings; drafted prospectuses and performed due diligence reviews. Broad exposure to raising capital through private, venture capital and public financings. Structured and negotiated financings for start-up companies in software, technology and health care industries. Corporate lawyer in boutique law firm representing high-tech businesses, entrepreneurs and service providers. Negotiated, managed and drafted equity and debt financings for seed stage financing financings, LBOs, bank loans, and seed capital investments. Drafted private placement offerings; federal and state securities law compliance. Assisted with prospectus and SEC filings for initial public offerings. Optimizing the Purchase and Sale of a Business - Online program for helping business owners to prepare for the purchase or sale of a business in advance and to develop skills for negotiating and managing the transaction. What's the message box for?